Not bad for a company that was founded in 2003. First things first: Elon Musk is having a grand old time right now on Twitter poking fun at short sellers who underestimated the value of Tesla stock. "Stormy weather in Shortville" Musk tweeted following Tesla’s market surge. According to Bloomberg, shares for the EV automaker went up by as much as 5.8 percent the day after the announcement that it’s delivered 25,000 cars so far in 2017. This now makes Tesla worth more than Ford, the number two automaker in America. Tesla is now valued at about $48.2 billion, while Ford is valued at $45.1 billion. While Tesla exceeded analysts’ sales expectations so far this year (and announced a new investment deal with China's Tencent), Ford has actually missed sales projections, even though it delivered roughly nine times as many vehicles in the US only last month. This is a big deal because Ford, at more than a century-old, has fallen behind, even if temporarily, a much smaller, niche automaker founded in 2003. 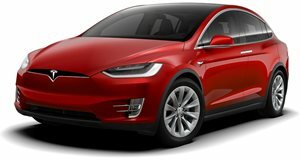 AutoPacific analyst Dave Sullivan described Tesla surpassing Ford in market value as "mind boggling." Now, here’s the inevitable "however" part to all of this: Once the Model 3 arrives, Tesla will begin to look more and more like a conventional automaker at the expensive of its current trendy technology company perceptions. 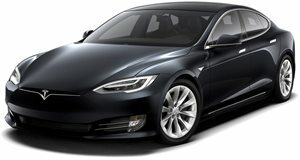 Right now, both the Model S and Model X are considered (and priced as) luxury cars, while the Model 3 is aimed at the mass market. Musk previously stated he wants to see as many as 500,000 Teslas built yearly, and for that to happen, he’ll need to add factories, service and retail centers, and staff. Sounds like a fairly normal automaker to us. What’s more, demand for EVs isn’t particularly high in the US these days due to low gas prices, so it’ll be interesting to see how Tesla weathers the mass-market in the coming years. But for now, Tesla deserves to celebrate a bit. Becoming a major player in the automotive and technology industry in just 14 years is nothing short of incredible.